Financial Power of Attorney: this creates a financial power of attorney that allows your selected Attorney-in-Fact to make financial decisions for you. Health Care Power of Attorney : this creates a health care power of attorney that allows your selected Health Care Agent to make medical decisions for you. Both the Financial and Health Care Powers of Attorney can become effective immediately (at the time of execution) or upon a future event such as incompetency or mental incapacity. Both types of Power of Attorney can also be limited in duration so that they terminate at a specific time or upon a specific occurrence, or they can be lasting so that once they take effect, they remain effective until death. 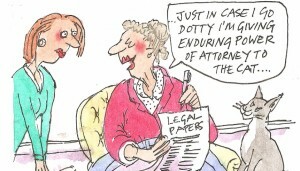 The Powers of Attorney will terminate upon the death of the principle. Powers of Attorney will confer upon the Attorney-in-Fact (or Agent) the right to make decisions in the same manner the principle would make them. The decision-making power can be specific (e.g. the right to sell a certain vehicle or look into certain medical records), or it can be general (e.g. the right to make any/all financial decisions or health care decisions). There are several benefits to drafting current Powers of Attorney while your parent is still mentally capable. First, drafting the documents prior to incapacity will prevent the need to involve the court system (and associated costs!) in granting the right to act on behalf of your parent. Also, earlier drafting enables your parent to choose the specific person(s) they want to act as their Power of Attorney, and prevents potential conflict between those that might want to have the power to act, if there are competing interests. Finally, planning ahead brings peace of mind to all parties. There’s a great amount of comfort to be derived from knowing that affairs are in order. 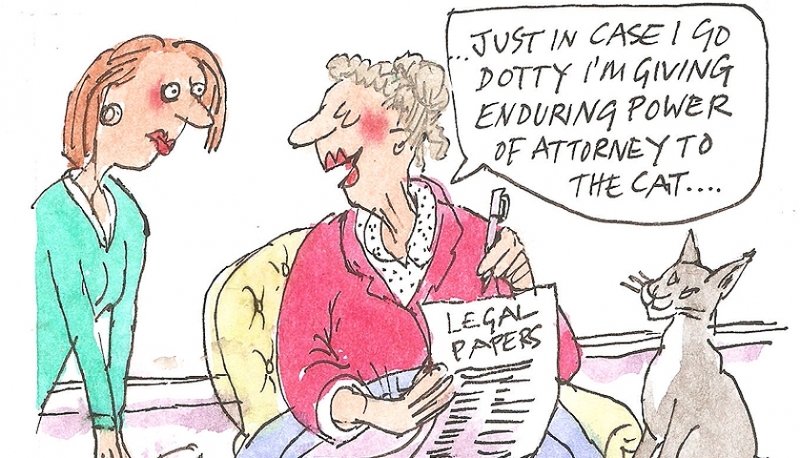 One last note: Powers of Attorney can be drafted to allow for co-Attorneys-in-Fact/Agents. If your parent is thinking of having co-Attorneys-in-Fact/Agents, have them first determine if they want their co-Attorneys-in-Fact/Agents to have the power to act jointly (the decisions they make must be signed off by all Agents) or the power to act separately (any Agent has the power to make decisions without the signature of the other). Naming co-Attorneys-in-Fact/Agents can sometimes be cumbersome, but if your parents have multiple trustworthy and capable people in their lives to act on their behalf, utilizing co-Attorneys-in-Fact/Agents can spread the decision-making process so that one person doesn’t carry that burden alone. If your parent doesn’t have an updated Financial or Health Care Power of Attorney in place, now is the time to act! Coming next week: The Parent Trap, Part 8: Will vs. Trust . . . spending now or later?